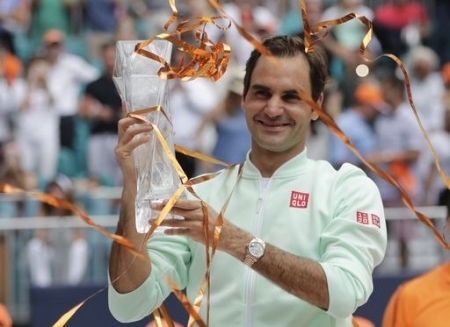 At 37, Federer became tennis's first repeat champion of 2019 when he won his 101st career title by beating a hobbled John Isner on Sunday in the Miami Open final, 6-1, 6-4. Federer neutralised Isner's big serve and won 32 of 35 points on his own serve. 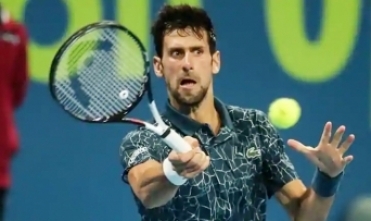 The lanky American scrambled so desperately to stay in rallies that he hurt his left foot and limped badly through the final few points.Isner said afterward he didn't know the nature or severity of the injury. Federer was the Dubai champion on March 2, and runner-up to Dominic Thiem at Indian Wells two weeks ago. Federer is 18-2 this year, best on the men's tour, which stamps him as a threat to add to his record total of 20 Grand Slam titles in 2019. 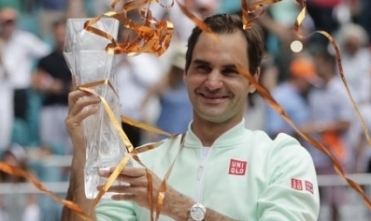 'Unbelievable for you to keep winning and playing this level of tennis,' Miami tournament director James Blake, a former top-five player, told Federer during the trophy presentation. It makes me feel like such an underachiever. We're all just in awe.' Isner also paid tribute to Federer during the ceremony. 'You were entirely too good today, entirely too good this whole tournament,' Isner said.